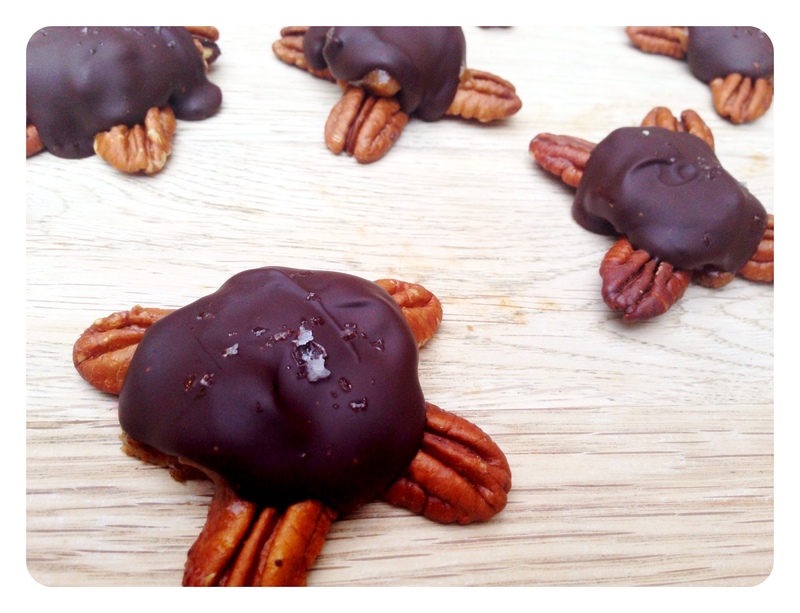 Pecan turtles are the ultimate after dinner treat- crunchy toasted pecans, sticky, chewy caramel and rich dark chocolate. 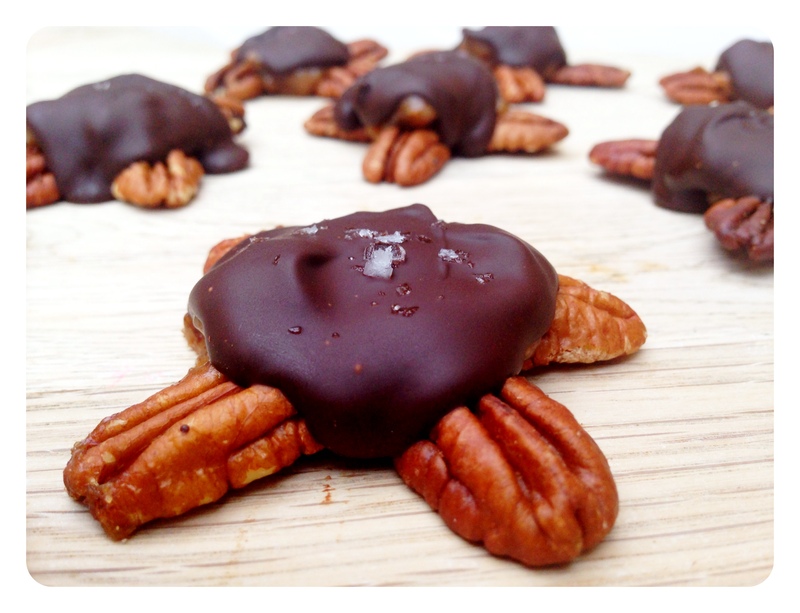 There’s no guilt whatsoever with these ones as they’re full of healthy, whole ingredients, not to mention that they’re tiny and cute, just like little baby turtles. What’s not to love! To start, pour boiling water over the dates and set them aside. 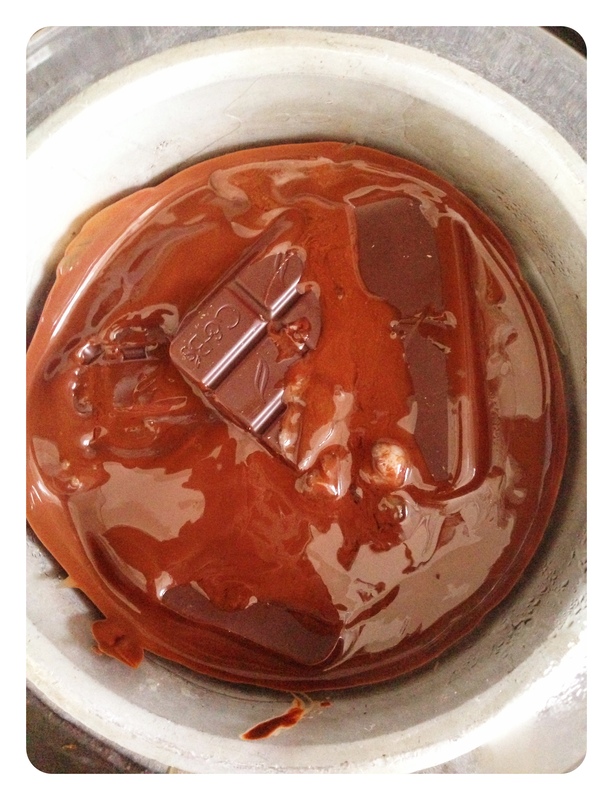 Then melt the chocolate in a bain-marie and set it aside also. 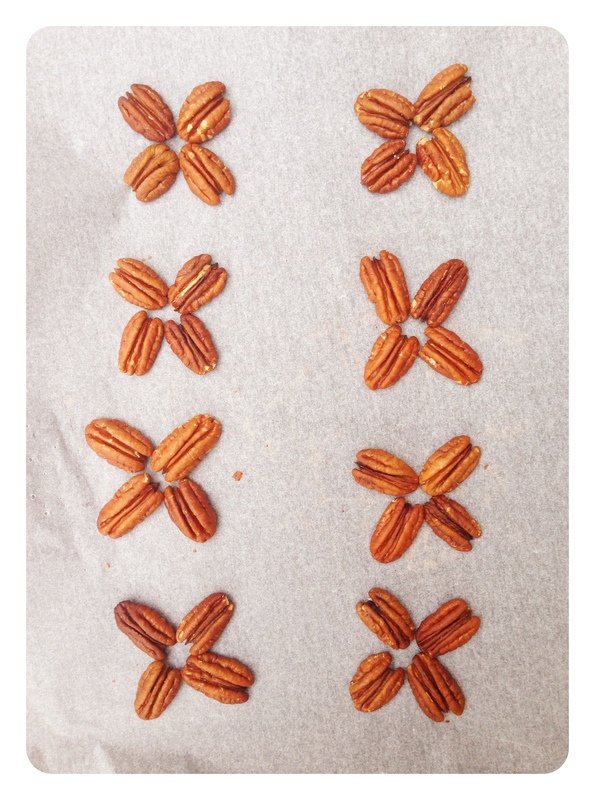 Dry roast the pecans for about 3 minutes and then take them out and arrange them into star shapes- touching at the tips and spreading out in four opposite directions. 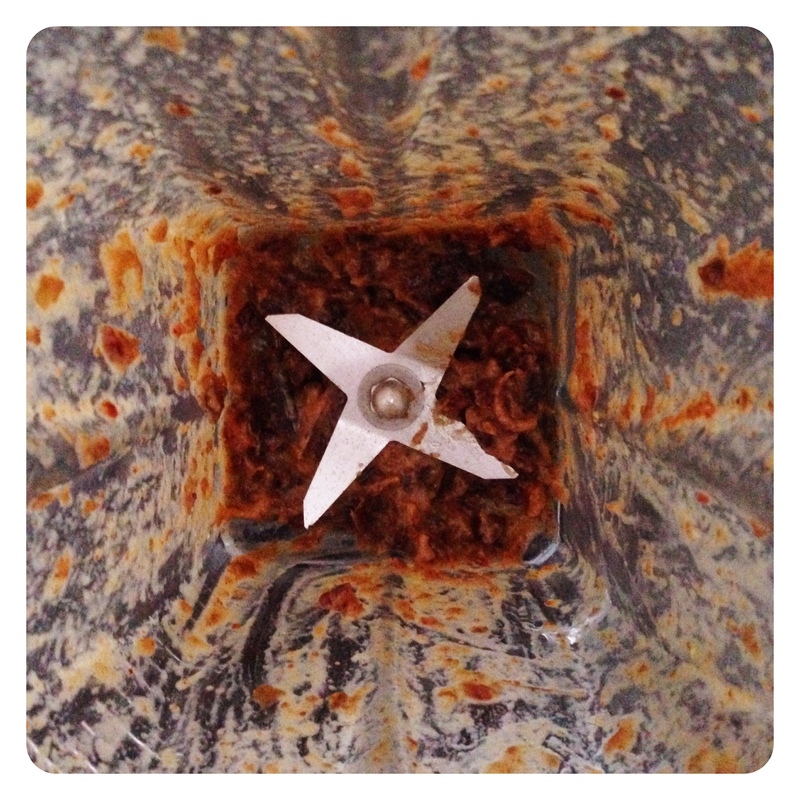 Add in the almond butter, maple syrup and salt and blitz until you have a gorgeous thick and delicious caramel. 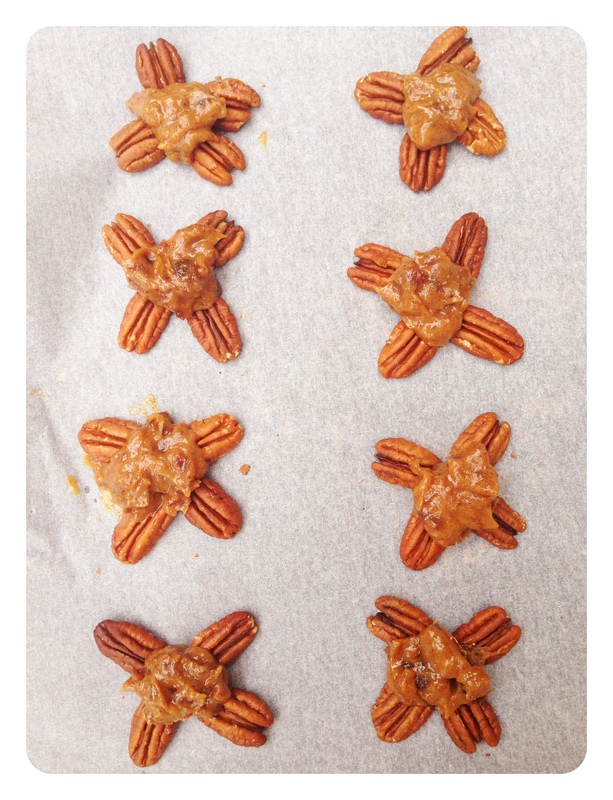 Drop about a teaspoon of the caramel into the centre of each pecan cluster and swirl it out a bit with the back of the spoon. 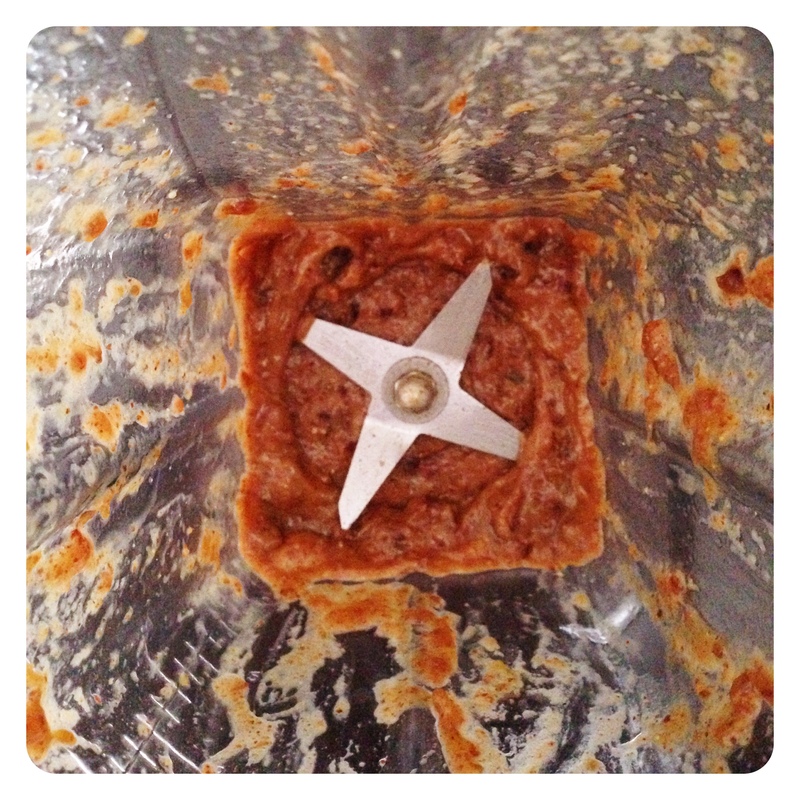 Then pour a teaspoon of the melted chocolate on top of this, swirling with the spoon if you need to spread it out more. 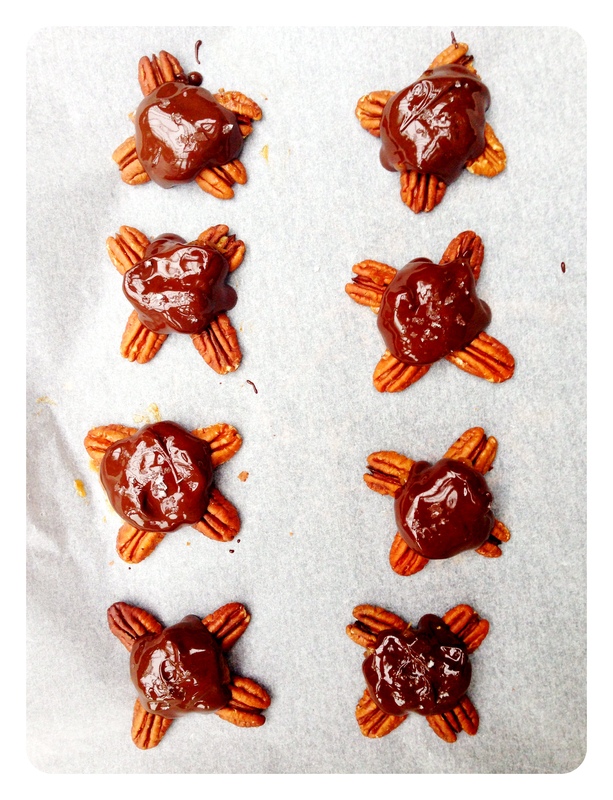 I also sprinkled each turtle with a little more coarse salt (I couldn’t help myself!). 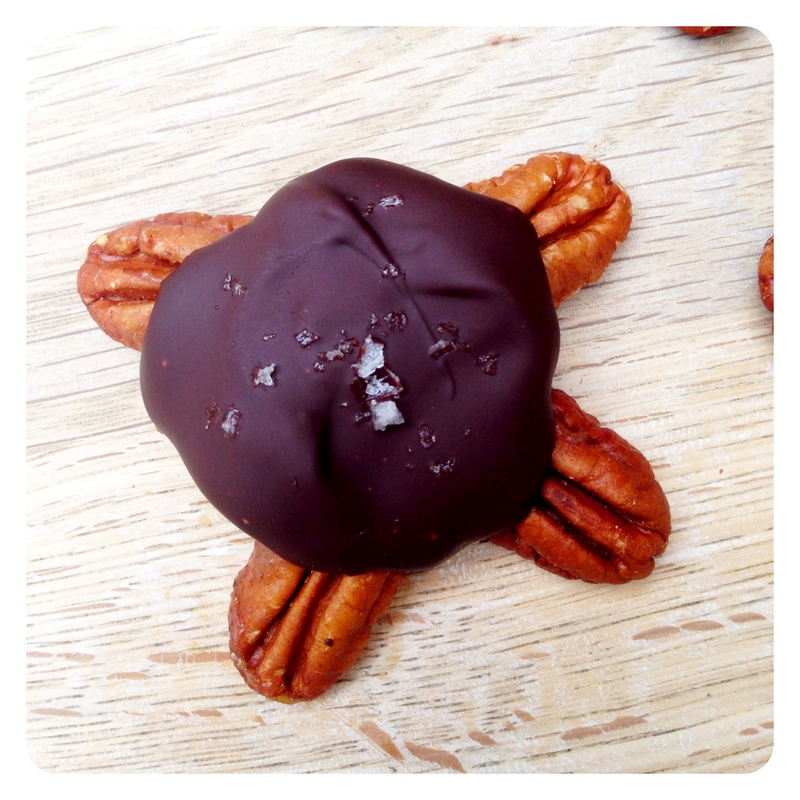 Pop them in the fridge just until the chocolate hardens and then enjoy! amazing idea! kids will love it!